A most mysterious event happened today. A parking company (CP Plus) withdrew their allegations part way through the POPLA process and cancelled the charge. If a parking company pursue you through pre-POFA legislation, they will almost certainly lose at POPLA because they will be unable to identify the driver. The events ran something like this. The Parking Prankster's vehicle double dipped a car park in April. CP Plus sent him a Notice to Keeper 23 days later, which is outside the required timescales for keeper liability to apply. With an ANPR ticket, the parking company must send the NtK so it arrives on or before the 14th day after the parking event. The Prankster appealed to CP Plus on this basis. On hindsight, this may not have been completely apparent on his first appeal. I have today received the invoice referred to above and as my car was not parked at this location between the times stated I wish to invoke your appeal process. I trust you are aware of the science of numerology. This spells out the power of certain digits. Luckily for me, my car’s registration is exactly divisible by both 3 and 5. These are mystic numbers, imbued with magical properties. The number 3 is like a wiggly snake. This bestows the properties of steadfastness, fortitude, the ability to shuffle cards really well and a fondness for Jackie Chan movies. The number 5 is like a number 2 backwards. The number 2 is like a wiggly snake. Thus, the number 5 is like a wiggly snake facing the other way, or in other words, a wiggly snake. This bestows the properties of courage under fire, intelligence, the ability to swim almost half a length underwater and an aversion to the colour vermillion. Obviously, when these properties are combined and interpreted in the vehicular sense the end result is a new property which renders the vehicle impervious to parking charge notices. As my car is therefore immune from parking charges, I trust you understand the only reasonable cause of action for you is to cancel your invoice. I realise this may be a disappointment for you so I offer the following joke to raise the levity of the occasion and once again put you in a good mood. Q. What is big, red and eats rocks? A. A big, red rock eater. PS As a practitioner of numerology you will not be surprised to hear that I am intrigued by the number of days between the parking date, 16/4/2013, and the date I received your letter, 9/5/2013, which is 23. Also, the POFA 2012 document contains in section 9(5) the number 14. 23 minus 14 is 9. This is also a magic number which allows the recipient to sneeze while touching their toes. I hope this is of some use and educational for you. 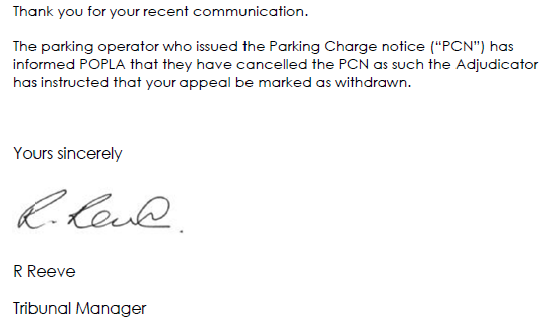 The parking company did not acknowledge within the required 14 days, and instead instigated a game of Parking Poker by sending a charge notice reminder on 20th May. The Prankster wrote a polite reminder to CP Plus on 23rd May, pointing out that they had failed to acknowledge his appeal within 14 days, and sent a second copy. 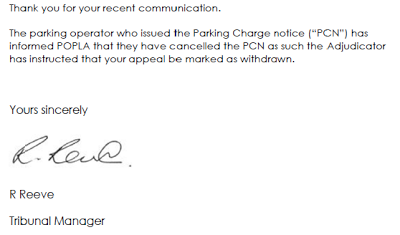 As the 35 day deadline approached, The Prankster, worried that the parking company might lose by default, helpfully wrote to them again on 3rd June, this time spelling it all out in black and white. I first wrote to you appealing this invoice on 9 May. So far you have not responded, despite my further communication on 23 May. Your own appeal process states that you will write back ’certainly no more than 10 working days after your representation is received’. The BPA code of practice requires you to acknowledge within 14 days. The POPLA appeal process requires you to respond within 14 days. You have missed all three of these deadlines. I wish therefore to add your failure to keep to the appeal process timescale to my original appeal reasons. I wish therefore to add the above to my original appeal reasons. The 35 day deadline for you to complete your deliberations and return a final verdict expires on 15 June. Failure for you to comply with this date will cause me to add this as a further reason to my POPLA appeal. I have no further evidence to add and will not be answering further questions. I therefore regard this as my final communication with you before your final verdict. In the case you decide to reject my appeal, I require you to provide a POPLA code without further prompting by myself. Your two choices for you next communication to me are therefore either to cancel your charge notice or to provide me with a POPLA code. CP Plus wrote back on 6th June with a POPLA code. This PCN was issued legally and correctly according to the British Parking Association Approved Operators Scheme. Having analysed our system, we have no evidence to support your claim. Your representations have been carefully considered and rejected. The parking incident was on 16/4/2013 and the notice to keeper was received on 9/5/2013. This is outside the POFA 2012 requirements for service of the notice to keeper (14 days) and therefore keeper liability does not apply. The parking company can therefore only pursue the driver. As the keeper of the vehicle, I decline, as is my right, to provide the name of the driver(s) at the time. As the parking company have neither named the driver(s) nor provided any evidence as to who the driver(s) were I submit I am not liable to any charge. Today, The Prankster noted that CP Plus had missed the 28 day deadline to send in evidence. They really don't seem to ge tthe concept of 'deadline', do they? The Prankster fired off a complaint to POPLA and received the following reply. The Prankster wonders at the late cancellation of the PCN. Since this will still cost CP Plus £27, why did they do it? Did they get a tip off that they were in for a spanking from the DVLA if they tried to push through a pre-POFA appeal while pretending keeper liability applied? Were they leaned on to drop the case so that a POPLA precedent was not set? Did someone let on that The Prankster has superpowers? The Prankster is resigned to never knowing the true reason. CP Plus have their POPLA appeals handled by Ranger Services, who also handle appeals on behalf of Highview Parking. 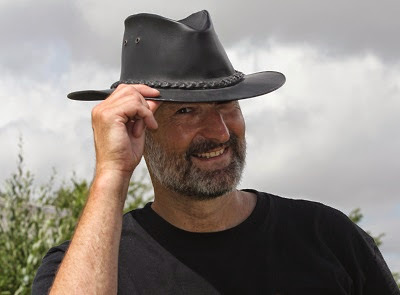 It's not looking especially good for Ranger Services POPLA track record against The Prankster at the moment. 3-0. Perhaps they should hire somebody who understands the word 'deadline'? This is actually a very serious point; POPLA has no statutory backing and absolutely no business calling itself a Tribunal. Heaven forbid that it's use of the word 'tribunal' tricks a poor motorist or RK into thinking that a POPLA decision against them is binding upon them. Also surely it's worth writing back that you dispute the appeal being withdrawn. You have a right under the BPA Code of Practice to a full hearing at POPLA. You should demand that you be allowed to exercise that right. i did eventualy not have to pay the fine !! i had spoken to POPLA and the BPA about Highview and the breech of code of practice and when i poimnted it out to highview with the recomendation of BPA the ticket was cancelled !! Is Nick Lester the Parking Prankster? What does my POPLA code mean? Has the BPA Ltd grown teeth?